Every two minutes in the U.S., someone gets hurt because he or she is involved in a crash with an intoxicated motorist. In Oregon alone, 86 people died in 2012 from drunk driving crashes, as reported by the NHTSA. All tolled, 40 percent of fatal car wrecks in the U.S. are caused by people who are drunk and someone is killed in a crash with an intoxicated motorist every 30 minutes. 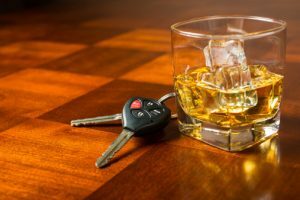 An experienced drunk driving accident lawyer in Portland, OR knows that the 1980s and 1990s saw a dramatic decrease in the number of drunk driving accidents. However, there is still work to be done with so many people dying each year simply because motorists make the choice to get behind the wheel after they’ve had a few drinks too many. The National Safety Council has recently taken a close look at some of the work that is being done to combat distracted driving. Understanding the programs that are in place to reduce this dangerous risk is important, and it is equally important that every individually driver do his or her part to stay sober and prevent accidents from occurring. Screenings and brief interventions. The cost-effective nature of this method of identifying people with drinking problems has been identified in 360 different studies. Screenings and brief interventions are often provided by employers as part of the company health benefits package. These programs are not only cost effective ways of getting people help but high-risk drinking behavior like drunk driving is also reduced because of the screenings. DWI Courts. The creation of DWI courts is being considered as a possible way to combat drunk driving. Three out of four Americans support imposing stricter penalties and taking strong legal steps to reduce intoxicated driving risks, so this could be a viable solution that has public support. The National Highway Traffic Safety Administration (NHTSA) has also proposed providing more support to prosecutors who charge drunk driving defendants. Publicizing drunk driving enforcement. There are routinely efforts made around high-risk times such as Labor Day, New Years and other holidays to let people know that there are going to be more police out looking for suspected drunk drivers and enforcing laws on intoxicated driving. These public service programs, and other publicizing of drunk driving enforcement, acts as a deterrent and discourages people from driving while impaired. Sobriety checkpoints. Sobriety checkpoints are a really public method of enforcing drunk driving laws that can help in several ways to reduce drunk driving accidents. Motorists will be deterred from driving drunk if they know that they face a sobriety checkpoint and, if they do drive while impaired, should be identified at the checkpoint and can be arrested before they get into an accident and cause injury. Ignition interlock devices. The National Transportation Safety Board (NTSB) has recommended that these devices be installed for all drunk driving offenders, even those who are convicted for the first time, in order to prevent repeat offenses. All of these different programs can hopefully help to make drunk driving seem like a behavior that is just too dangerous for motorists. The fewer people driving drunk, the safer everyone will be. Contact Zbinden & Curtis in Portland, OR today at (503) 287-5000 for a free case consultation.